What does social media and business mean to you? If your company doesn’t have at least one social media profile, you are officially behind. In fact, 93% of marketers use social media sites such as Facebook, Twitter, LinkedIn, Pinterest and Instagram. Because of their widespread use as a medium to connect with friends and family, these networks can also serve as a way to connect your business with a large number of people. Social also provides one of the best ways to reach your target audience on a platform that already has their attention. Can you believe that there was a time when people believed social media was a passing fad? Many people would have never guessed it would end up having such a large effect on their businesses. Of the 3 billion internet users, over 2 billion have social media accounts. Social media platforms have access to data that businesses want and need. Data that can help you achieve your goals quicker and more efficiently. A social media presence for businesses is no longer optional—the results speak for themselves. Without taking the time to understand these insights, all social media activity on behalf of your brand is a shot in the dark. On that note, social media also enables you to keep your ear to the ground and listen to what customers say about your brand. The act of social listening gives you insights and feedback on the conversations your customers and other people have about you. Since communication is a two-way street, it provides you with the opportunity to engage with them and let them know that their feedback is being heard. Having a solid social media presence makes it easier for customers to look for you and connect with you online. Being on social media also exposes you to a larger, more global audience. Need more convincing? Data from our Q3 2016 Index discovered 57% of people that follow brands on social are more likely to buy from them. Although brand awareness and impressions don’t affect your company’s bottom line in the same way as conversions, they’re still an important area of consideration for reaching a new audience, and remaining top of mind with your current audience. Being where your customers are most active allows you to interact, engage and build relationships with them. Over time, those relationships will create opportunities for your customers to know, like and trust your brand. According to research from Rare Consulting, 86% of customers believe brand loyalty is driven by likability and 83% believe it’s driven by trust. Just make sure that you’re creating content that isn’t 100% self-promotional, and that truly benefits your social followers. Customer service has become a secondary function of social media. 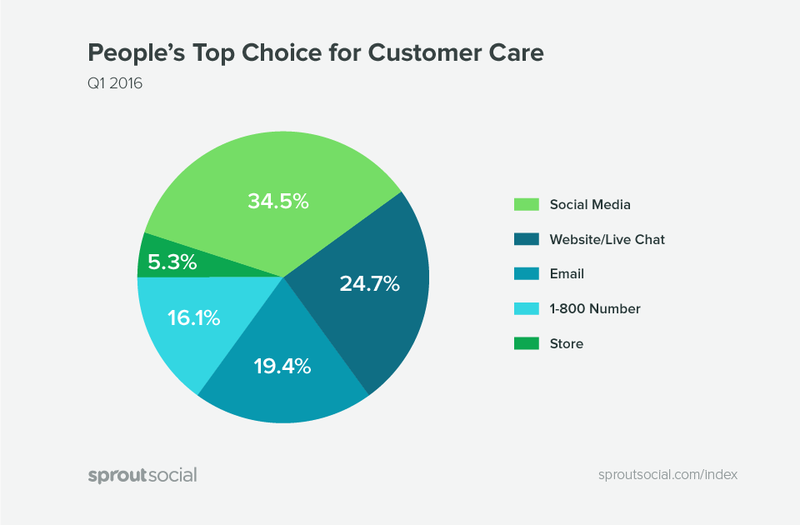 In fact, social media is now consumers’ leading choice for customer care. If your company is online and easily reachable, it makes it easier for customers to contact you to ask questions, compliment your efforts or even complain about something they’re not happy about. People talk on social media, so tracking your brand mentions will allow you to correct any misconceptions about your brand and respond to customers quickly. 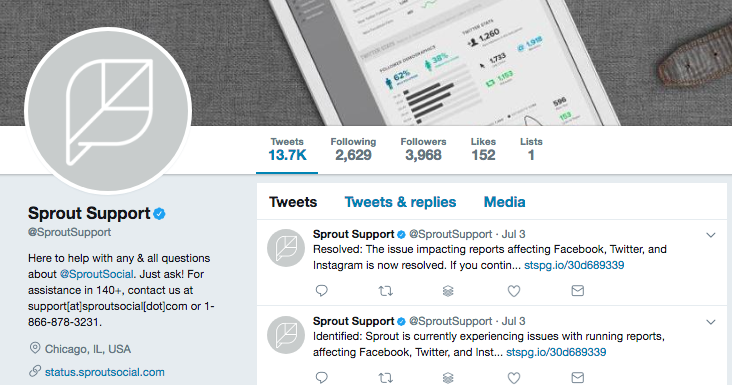 If your company is big enough, you might consider a separate Twitter account just for customer service inquiries, like Sprout Social’s, @SproutSupport. Of course, this is just the tip of the iceberg as far as social media and business. There are several other benefits to social media, like capturing leads (that could convert to sales), assisting with SEO efforts and cost-effective advertising. The beauty of using social media for business is you are able to track the ROI of each specific effort. OK, so there are a number of benefits associated with establishing a social media strategy for your business, but most businesses don’t know how to optimize it to align with their most important goals. According to a study by the SMB group in 2012, only 24% of small businesses use social media “strategically, in a planned way.” The number may have gone up since then, as more businesses understand the importance of strategy. Of course, the point remains that many businesses on social media do not actually know why they’re doing what they’re doing. Haphazard posting for the sake of churning out content won’t do your business any favors. To be effective, you need to plan for all the ways you can interact with customers on social media—not just planning content, but responding to conversations, and even using what you know about your customers to serve up effective advertising. Ready to take charge of your social media and business? It starts with clear definitions of your business objectives. What do you want to achieve in your business that social media can help you with? If you don’t know the answer to this yet, it’s a good time to start thinking about it. Setting clear business goals will help to be more intentional with social media activities. Increase profits: Many businesses use social media to run paid advertising campaigns for the purpose of selling products or services. Introducing the element of retargeting users who’ve been to your website without making a purchase can help bring them back and complete an abandoned purchase. Retain current customers: Engaging with current customers and fans is an excellent strategy for maintaining goodwill. They’ll appreciate being the first to know about special promotions, contests and exclusive social-only deals. Improve customer satisfaction: Encouraging feedback, and letting customers know their voices are heard is a simple yet effective strategy for social media and business. A satisfied customer is the best brand ambassador for your company. Explore a new market: Want to test a completely new service offering or product category? Or perhaps, you want to see if there’s an audience that you’re not currently catering to, but should? 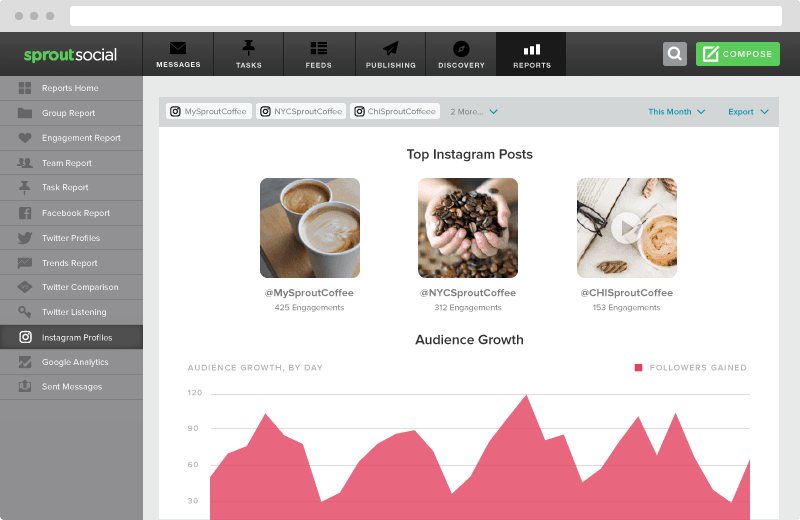 The metrics and testing tools available on social media will make it easy to measure and optimize your efforts. Sell “x” more units of product: Promote a specific product with a targeted social advertising campaign. By choosing between cost per click or cost per conversion, you’ll be able to determine the marketing costs associated with selling more products. Once you’ve decided on your business goals, it’s time to align them with a social media strategy. Connecting social media and business goals will help you clearly define the necessary action steps you’ll need to take to find success. Though it can certainly be illuminating to be a part of this process, you might also opt to get your marketing or content departments to take charge of aligning social media and business objectives. If this is how you move forward, make sure these departments take ample notes so you can see how the final strategy came together. Before you start, assess where you’re currently at with your social media profiles. Complete an audit that includes an in-depth look at your analytics data to identify any areas in need of improvement. Who is your target audience? Where are they? How can you reach them? What are your primary objectives for social media? When will you evaluate the social strategy and how will you evaluate? Where does the overall strategy fit into the business? Sometimes, social media overlaps with other departments. To give an example, social media is mainly used for sales and marketing, but can also help in customer service and PR. Which department will be in charge of the social media posting and reporting? Will any other departments get involved for various efforts? Who needs access to what? It’s important to think hard about the answer to each of these questions, as they will come into consideration when thinking about your social media goals. The results of your audit will likely turn up new ideas for content and campaigns, as well as new ideas for social networks you should be using—and those whose use you may want to discontinue. When you’ve decided on both your long-term and short-term business goals, and have assessed where you are in terms of your current social media presence, you can now work to define the specific social media goals that align with your primary business objectives. Of course, these are just examples. We’ve already mentioned others that include lead generation and bolstering other digital marketing efforts, like SEO. Ultimately, the goals you choose must align with your specific business goals. Try to limit your efforts to two or three goals per social platform so you can focus your efforts appropriately. Periodically reassess your efforts, and add/change goals as they’re accomplished. When setting social media goals, ensure that they are SMART: Specific, Measurable, Achievable, Realistic and Time-bound. The time element is especially important, as you should evaluate each element as it pertains to your long term or short term business goals. Next, goals must be measurable. So choose the appropriate metrics and identify your primary KPIs. Aim for realistic metrics so the goal may be achieved. Say you want to increase brand awareness. One way you can do that by monitoring your Facebook fan page likes. If you have 8,000 page likes, and wish to increase that number in a month, you need to be honest with yourself and the team about what’s really possible. You can’t realistically aim for 100,000 new likes in a month without a ridiculous budget, or buying followers (we’re fans of organic growth tactics). Still stuck? Here’s a complete guide to creating social media goals. Just because a network has billions of users, it does not mean it’s the right one for your company to use. Instead of trying to be everything to everybody, focus on the networks that are relevant to your business goals and objectives. It’s better to have an amazing presence on one platform, than a lackluster presence on a large number of platforms. 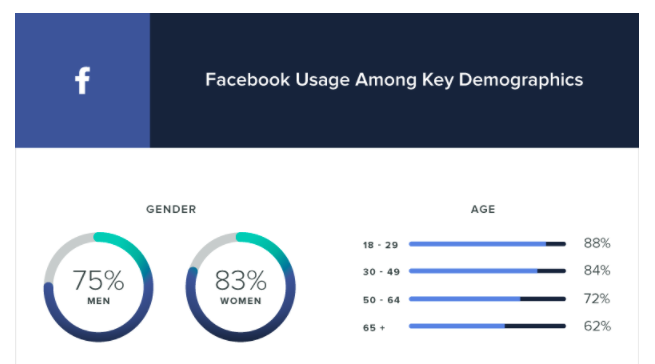 Facebook: If your business wants to run advertising that targets hyper-specific users, this network can help you get there. 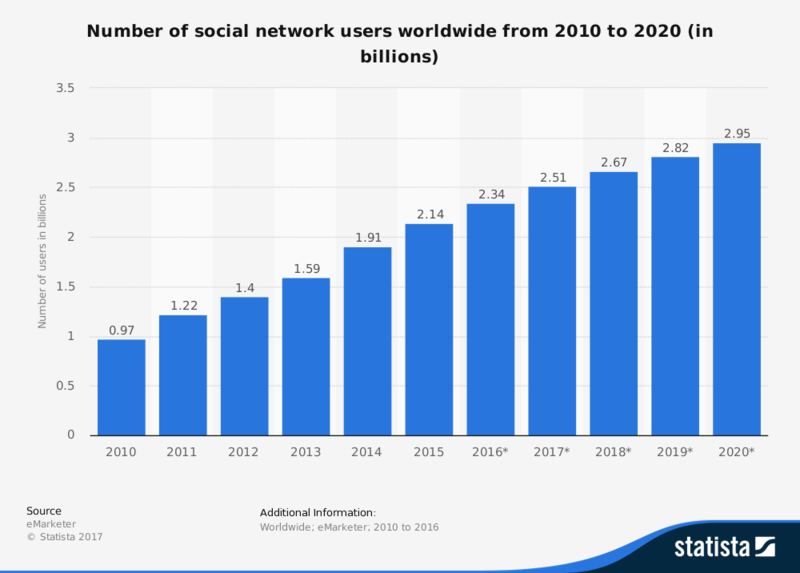 With 2 billion users, Facebook is now the largest social media network today. Facebook is known as having the most advanced advertising options, and the richest user data to use in your efforts. Twitter: If your business wants to build relationships with its target audience, Twitter is the ideal social network to get involved with. Twitter has fewer users than Facebook, but has a higher volume of content, making it easier to find or join in a conversation. It is ideal for use as a customer service or business development tool. 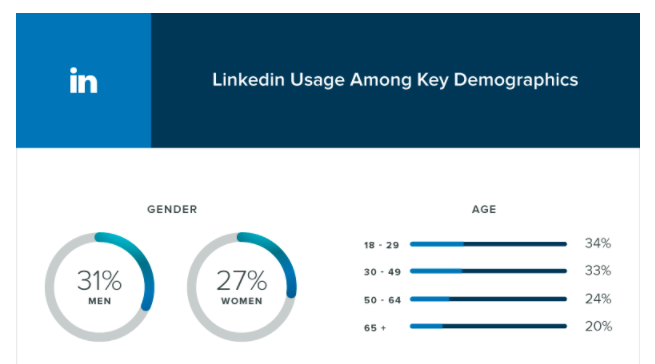 LinkedIn: If you’re a B2B brand, you’d better be on LinkedIn. Known as the network for professionals, LinkedIn is well targeted to users who are looking for professional and industry contacts. Instagram: If your business is inherently visual in some way (think products, photography, or restaurants), Instagram is your perfect social network. It’s also particularly ideal for connecting with an audience primarily made up of millennials. 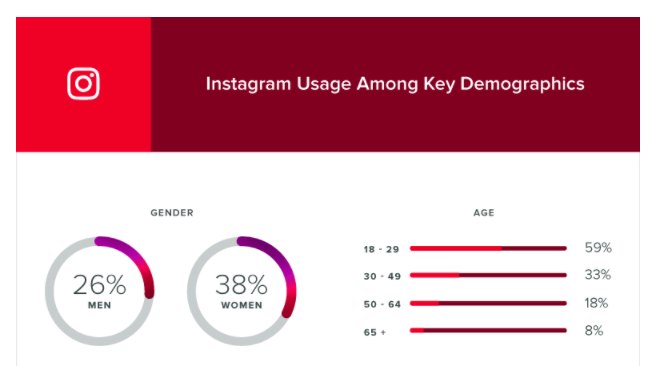 Pinterest: For brands using Pinterest, it’s not dissimilar to Instagram in this distinction in terms of visuals and audience, but their audience skews slightly older. Need more information before deciding where to invest your time and resources? 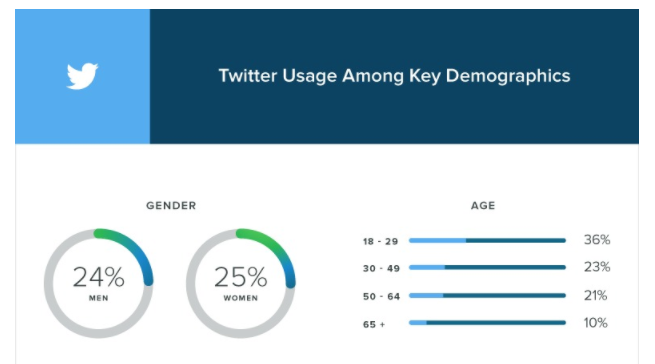 Check out our complete guide to insights on social media platforms and their demographics. After choosing the social networks most relevant to your site, it’s time to decide which kinds of content to create and post. Create a content plan and use an editorial calendar to plan posts ahead of time, which will help you in the long term. Create content that is interesting, engaging, helpful and relevant to your brand and strategy. The best content encourages interaction between your followers. Think 80% content just for them, 20% content to promote your brand and offerings. 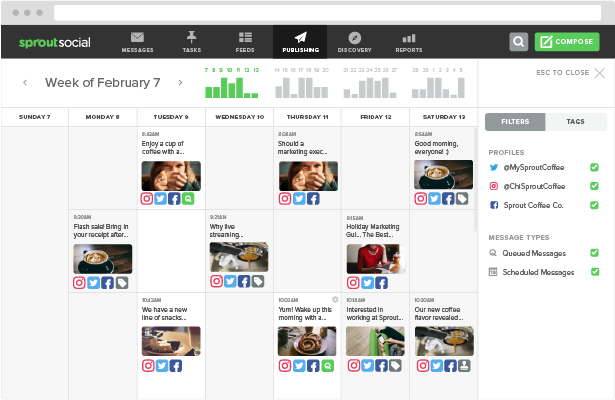 Use a social media tool like Sprout Social to schedule and publish content at the most optimum times for your target market. Scheduling posts is a huge step in the right direction when it comes to being more intentional with your social media strategy. The beauty of using social media for business is that there are plenty of metrics to help guide and analyze your efforts. This is one of the most important steps when it comes to social media and business, because it shows you the effectiveness of your campaign. 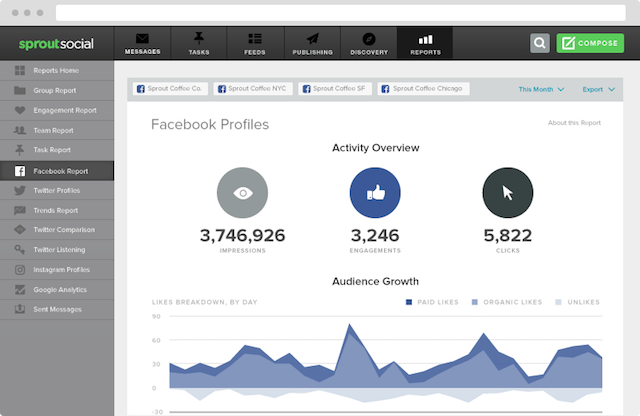 Use a tool like Sprout that incorporates analytics and complete social media management. Are Your Social Media & Business Objectives Aligned? It does not matter which specific social sites your business relies on. New platforms come and go all the time. What matters more is how they’re used in alignment with your business objectives. Aligning social media and business helps to ensure a successful marketing campaign. By giving direction to your social media strategy and business goals, everything you’re actively working to use your public-facing channels to achieve new growth. How do you use social media and business? 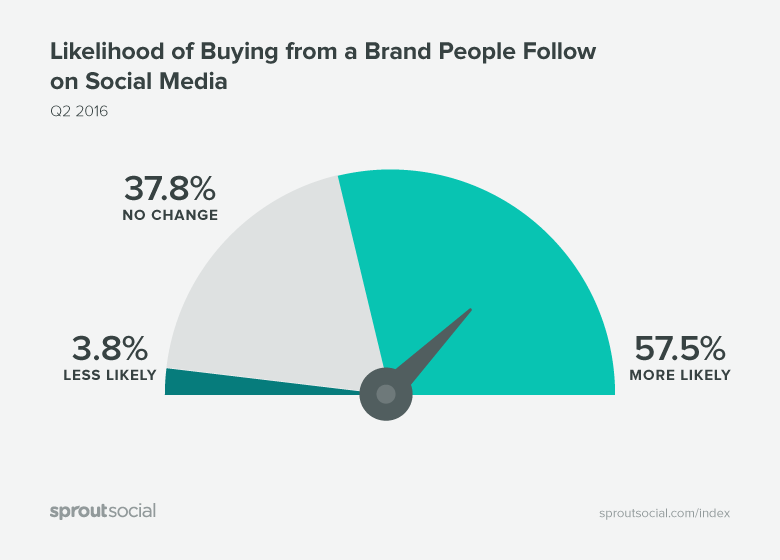 Tweet your thoughts at @SproutSocial, and we’ll share our favorite insights!